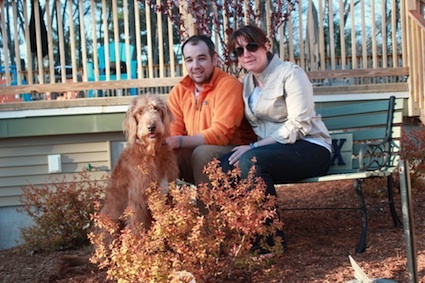 Many people who come to us for off-leash obedience dog training and puppy classes live in Newburyport and want to be able to fully enjoy life in this (small) city with their best friend. That means walking off-leash when it’s permitted and properly interacting with other dogs and people. If you live in Newburyport and would prefer dog training sessions to our board & train program, contact us about classes. Our dog training classes cover everything from puppy socialization to advanced off-leash obedience. There are benefits to training your dog in the class format. By seeing the training of your dog first hand and participating, you’re able to gain a deep understanding of the way your dog’s mind works. You’ll develop the quick thinking and reflexes needed to improve and maintain your dog’s manners over time. Best of all, these training classes are a social event for the dogs, creating a professionally monitored environment in which dogs of different sizes, breeds and personality learn tolerance and social skills. Sophie is a Beagle/French Bulldog mix from Newburport, MA, who was brought to First Choice Canine for off-leash obedience training and to stop some behavior issues. Sophie is a friendly dog with a lot of energy. She brings drive and enthusiasm to the training room, sometimes at the expense of focus. We found that the most productive way to train Sophie was to enroll her in one of our training classes. The session lengths are short enough that her interest is held, and having her owner in the training class means that her daily handler will be able to reinforce commands at home. Havana is in another dog from Newburyport who attends the same training classes as Sophie. Havana is a fun and playful 1 year old Labradoodle. Havana’s owner has a simple goal: she wants to feel more comfortable taking her dog off leash and wants to stop some bad behavior like jumping on people and barking at other animals. While Sophie and Havana have different training goals, they are still able to make huge progress in a class setting. Dogs and their owners take turns with different training principles in the classes. Owners learn not just how to handle their own dogs’ behavior, but to identify and correct other common problems as well. Our clients enjoy this chance to learn more about the dog training process, but we also take care to focus on each dog as an individual. After completing group classes in the training room, we offer additional sessions in home and in public to make sure the training is functional even in the face of distractions. If you live in the Newburyport area and want to enroll your puppy or dog in training classes, contact us today.